The U.S. textile industry, its domestic suppliers and customers are comprised of the following: the textile industry; suppliers in the cotton, wool, and man-made fiber sectors; the U.S. textile machinery and textile chemical industries; and our customers in the U.S. apparel industry. The U.S. textile industry, suppliers and our customers are an important component of the U.S. economy and are found in every region of the country. The industry provides much needed jobs in rural areas and has functioned as a springboard for workers out of poverty into good paying jobs for generations. The industry is also a key contributor to our national defense and supplies over 8,000 products a year to our men and women in uniform. Over the past 30 years, the industry has become a major factor in hi-tech innovation. Textile products are now major components in everything from heart valves and stents to aircraft bodies and advanced body armor. In fact, in 2010 the textile sector alone contributed $26.3 billion to the U.S. Gross Domestic Product. The U.S. textile industry consumed nearly 1.7 billion pounds of U.S. grown cotton in 2011. The U.S. textile industry invested $16.5 billion from 2001-2010. This has allowed the U.S. industry to increase productivity gains that have surpassed all other sectors. Investment has been crucial for the global competitiveness of the U.S. industry. The U.S. textile industry is export intensive, and is the third largest textile exporter in the world. The U.S. textile industry is the third largest textile exporter in the world. The industry primarily exports yarns and fabrics. 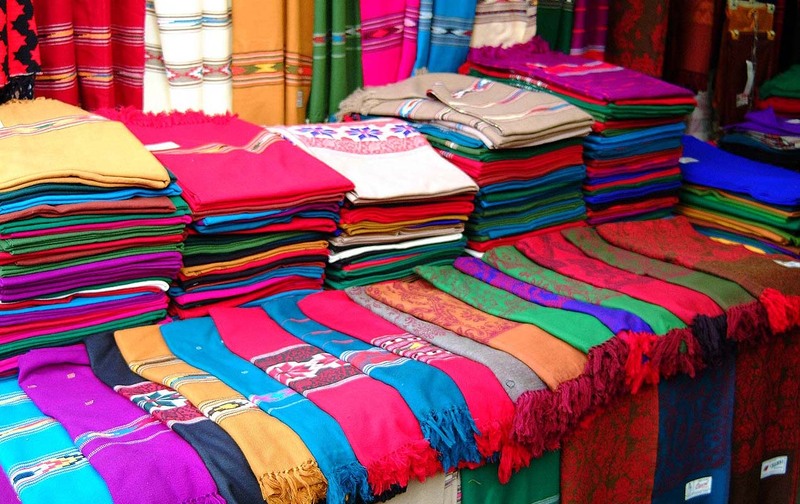 Textile exports in 2011 totaled over $17 billion dollars. The industry exports to more than 50 countries, including 16 with export markets that purchase in excess of $100 million. As capital goes, so goes textiles. Low capital rates, and low energy costs, lead to a competitive textile industry in the US. According to WTO statistics, the United States textile industry is the third largest exporter of textile products in the world with over $13 billion in exports in 2009. Most of these exports (75%) go to countries in the Western Hemisphere that the United States has free trade or preferential trade agreements. The industry has also built up export markets in some surprising places, including China, which now purchases half a billion dollars a year in U.S. textile products. All told, the U.S. textile industry has export markets in excess of $100 million in over 20 countries. The US Textile industry is enjoying a period of renewed growth, courtesy of low interest rates for investment in modernized plant and equipment, and decreasing energy costs. Revenues are steadily increasing. Costs are going down, due to lower cost of capital and lower energy costs. Profit margins and profits are increasing. The US Textile industry will continue to benefit from low interest rates and decreasing energy costs for the forseeable future. Interest rates remain low, and energy costs continue to decrease, and dollar is weak. Interest rates remain low, and energy costs continue to decrease.